love amsterdam shawl red - robins hood - dutch design - interior - accessories - vintage. 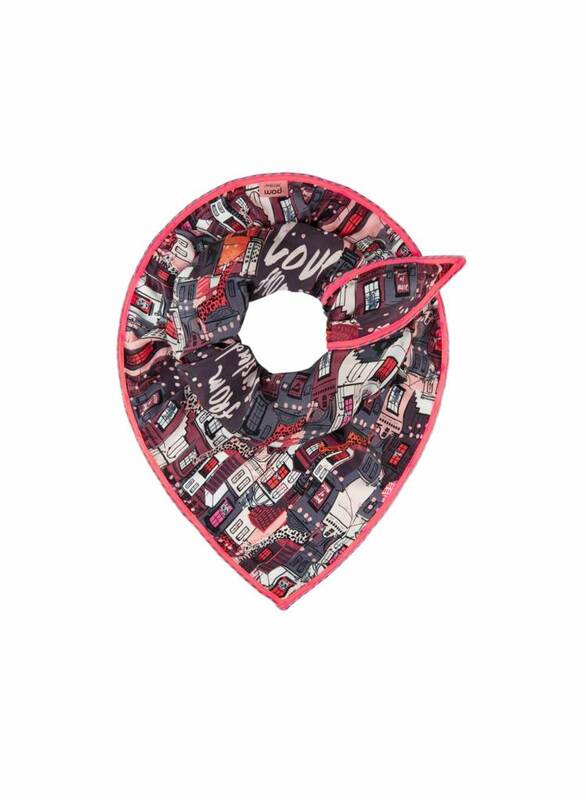 supple shawl with a graphic design of amsterdam's houses in multicolour. 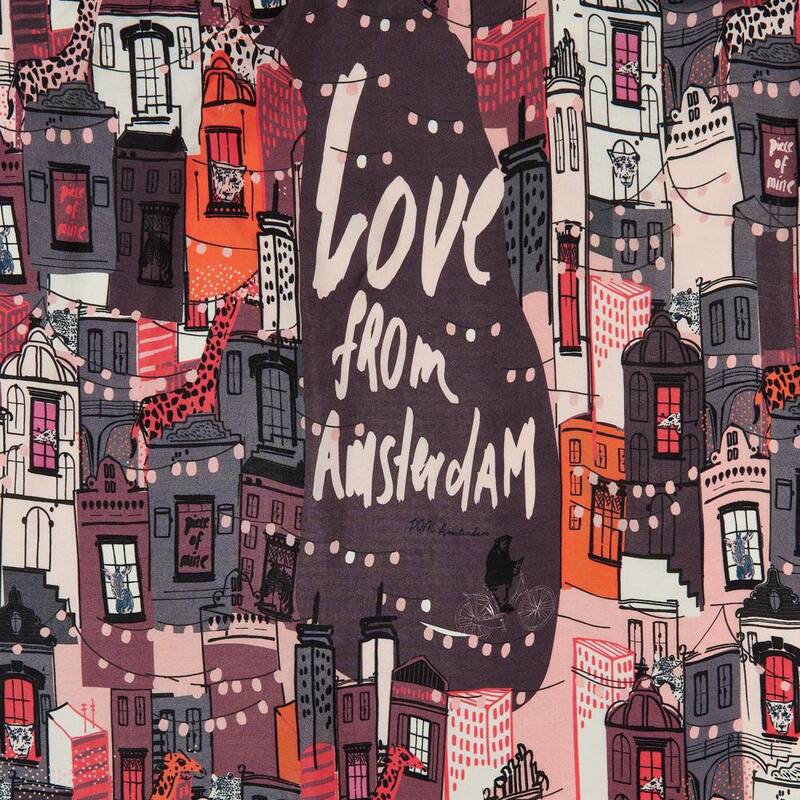 smooth shawl with a design of typical amsterdam houses in multicolour. certainly guarantees a spring feeling! the scarf has the distinctive triangular POM signature shape and is finished with a bright fringe trim. feels like silk, breathes like cotton. highly sustainably made from the remaining seeds of the cotton plant. 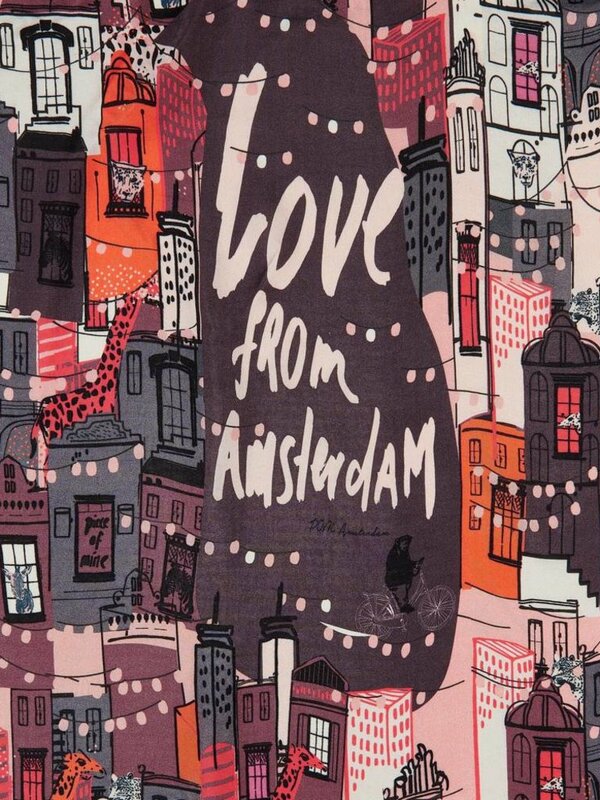 in short; ideal for the amsterdam fanatic, this eyecatching shawl! 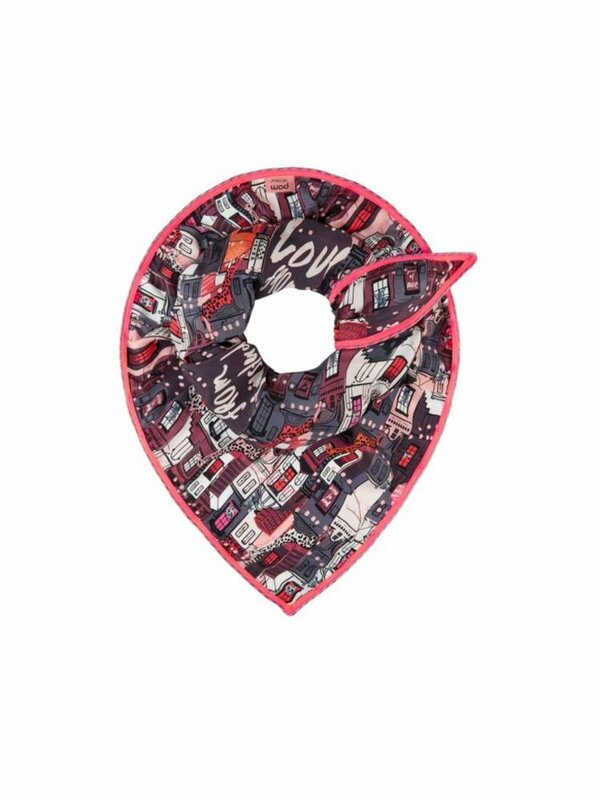 supple shawl with a graphic design of amsterdam's icons and tulips in multicolour. supple shawl with a sunny design in multicolour.